The Vegetable Chicken Citrus Soup is a colorful reinvention. 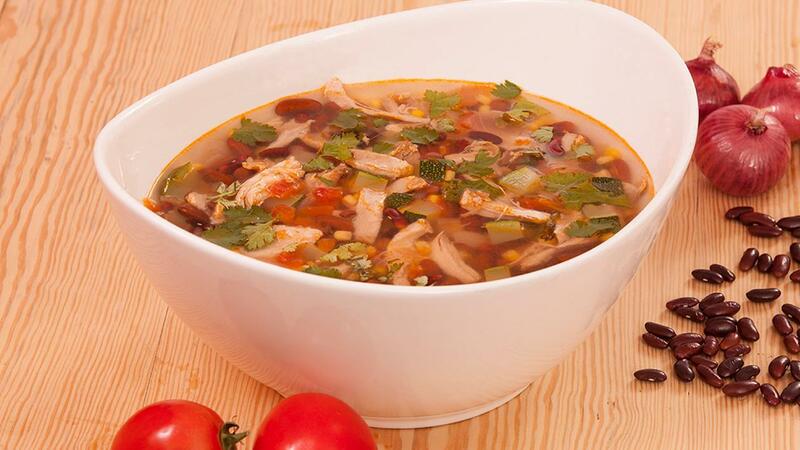 Lime pairs so well with chicken, especially when you add in a blend of pulses and grains. It’s a perfectly filling soup, ideal for lunch menus. See the full recipe below! Heat the oil in a thick bottom pan and sweat the onions and zucchini for 1 minute. Add the water, bring to the boiled; add Knorr Chicken Seasoning Powder, black beans, corn, chicken, Knorr Pronto Tomato and simmer for few minutes. Finally finish with Knorr Lime Seasoning Powder and garnish with coriander.